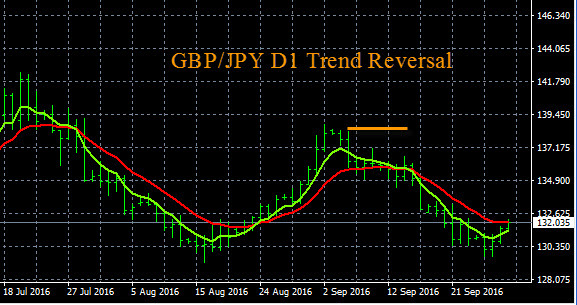 A GBP/JPY trend reversal may be underway on the D1 time frame. Look for a buy signal on this pair in the main session starting tomorrow morning. 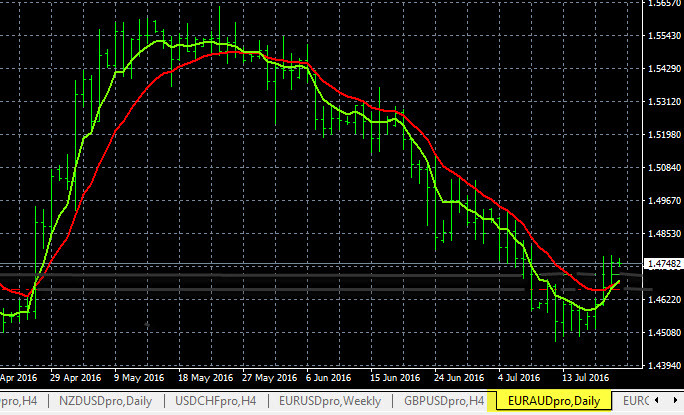 You can watch The Forex Heatmap® to confirm any buys and also the live heatmap alert system. Current pricing is in the 132.00 area, overall pip potential is up to the 138.00 resistance area, noted on the chart. 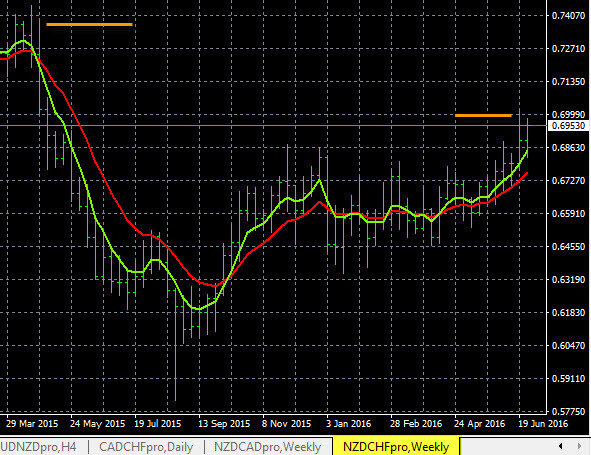 Today in forex trading the NZD/CAD uptrend was evident again. This pair is in a major uprend on MN time frame, but had sold off against the trend for a few days. 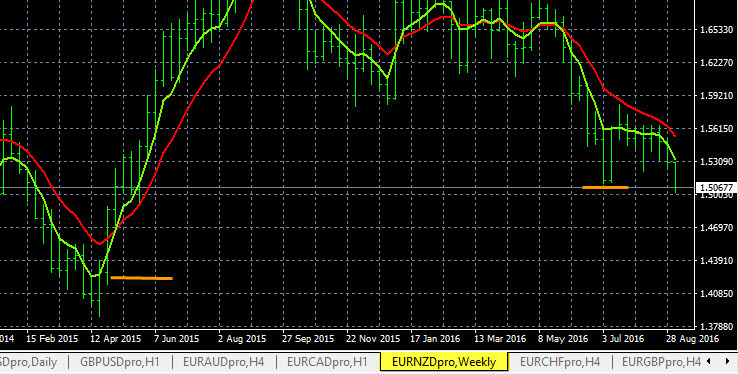 Today the NZD/CAD reversed back up into the major trend. The live buy signal for this pair from todays trading on The Forex Heatmap® is shown below in the images, along with the price chart movement. The NZD/CAD uptrend should continue to pull this pair higher to at least the 0.9650 resistance area, then this pair could continue higher from there. The NZD/CAD uptend was interrupted by a short term sell off over a few days, then this pair built a choppy relative low around the 0.9450 price level. It is now reversing back into the major uptrend on the MN time frame. This happens in a trending market when a pair sells off against the major trend, then reverses back into the trend. It gives traders an opportunity to enter the trend at a lower price, we call these swing trade setups. 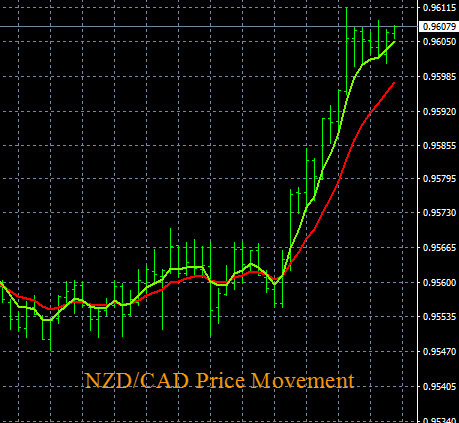 It is in action with the NZD/CAD uptrend but it works for all 28 pairs we trade. 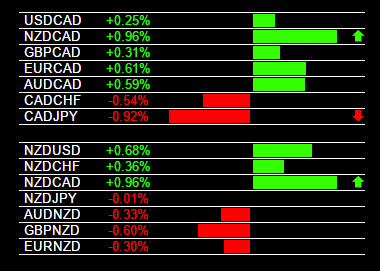 Today in forex trading the GBP/CAD and NZD/CAD moved higher on CAD (Canadian Dollar) weakness. The GBP/CAD should continue higher on the H4 and possibly D1 time frames, but the major trend on this pair is down on the MN time frame. The GBP/CAD still has upside potential going forward for 1 or 2 two days. The NZD/CAD moved higher but this pair is inside of various levels of resistance, for that reason we would scale out lots or exit this trade. 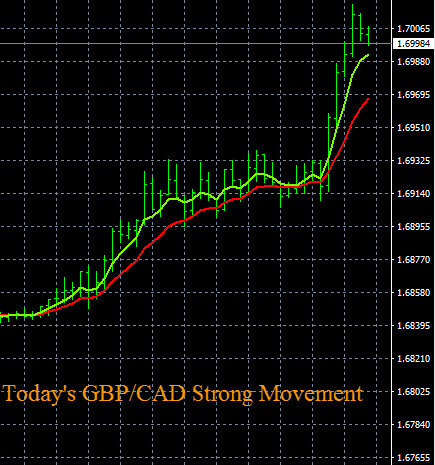 The trading signals for the CAD pairs is shown below from The Forex Heatmap®, along with the price chart movement. The heatmap provides trading signals for 28 currency pairs and can be used for day trading or entering new or existing trends on the higher time frames. In this video we will use one group of currency pairs to show traders how to build a sample forex trading plan for any pair in that group. These principles for building a trading plan work for any group of pairs with one common currency. Our example will be for the Japanese Yen (JPY) pairs. To prepare a trading plan for the JPY pairs you would drill down the charts using multiple time frame analysis. The AUD/JPY NZD/JPY, CAD/JPY, EUR/JPY, etc., all 7 JPY pairs total. In this example the long term trends on the higher time frames are all pointing down, and the H4 and D1 time frames are reversing back down into the trend, so the charts show that JPY is strong and that the JPY pairs are dropping. Our trading plans for this day reflect the JPY strength. We prepared written trading plans for various JPY pairs along with the price alert points for traders to set audible alerts to detect the movement to the downside. When the price alerts start to hit in the Asian session the JPY pairs are in an obvious sell off and our currency alert system also shows the sell off. This is a very safe way to trade the forex and this method works for all 8 groups of currency pairs we trade, i.e., USD pairs, CHF pairs, NZD pairs, etc., for a total of 28 pairs. Use the techniques in this video to prepare a sample forex trading plan for any group of pairs until you get more practice.